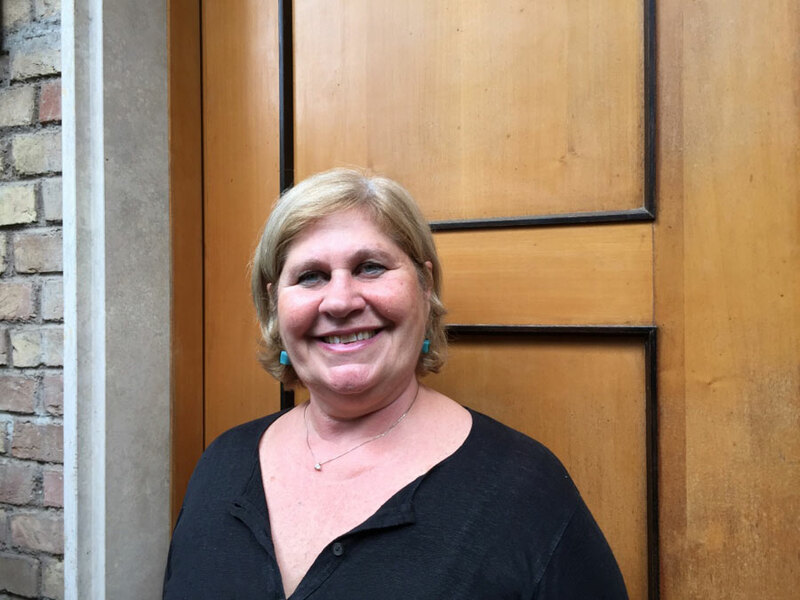 Born in Naples, Daniela has a wealth of knowledge about Italian culinary and cultural traditions. 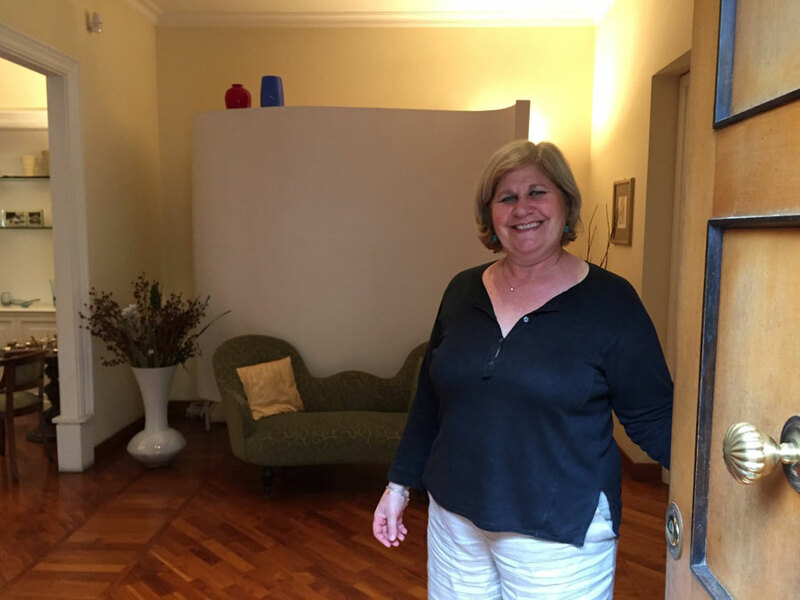 She moved to Rome when she was six but continues to embody the Neapolitan spirit with her friendly and welcoming personality. 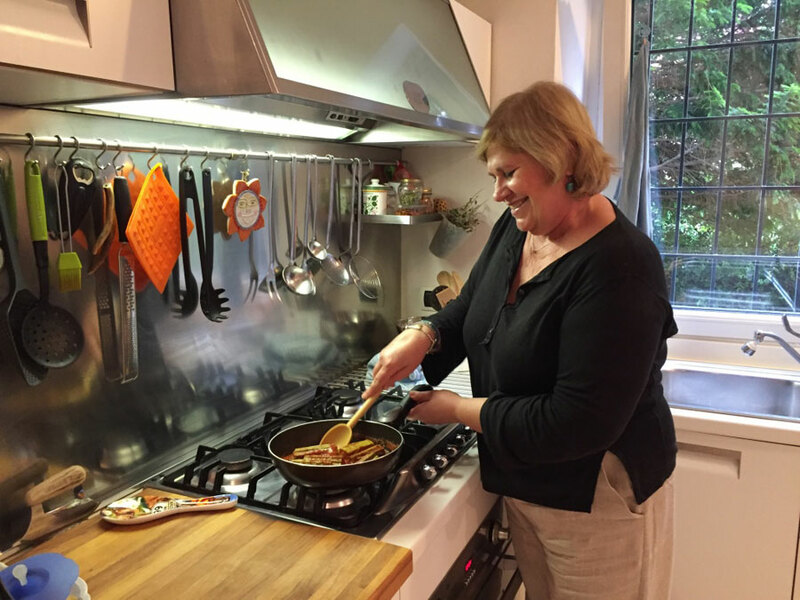 She learned to cook as a young girl watching her mother and grandmother passionately work in the kitchen. 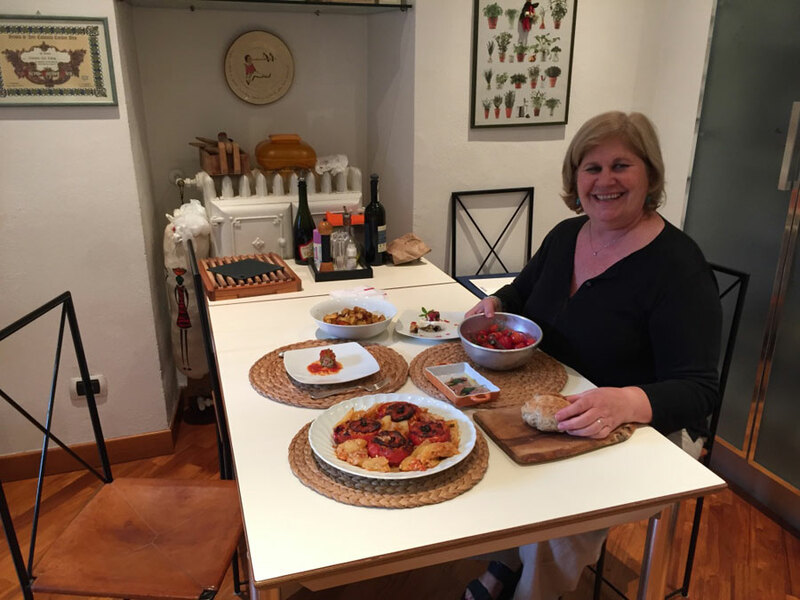 Now as a mother herself, Daniela has passed on her love for cooking to her youngest son Francesco, a chef at a 3 Michelin star restaurant outside of Lyon. Francesco now gives Daniela tips on food presentation. 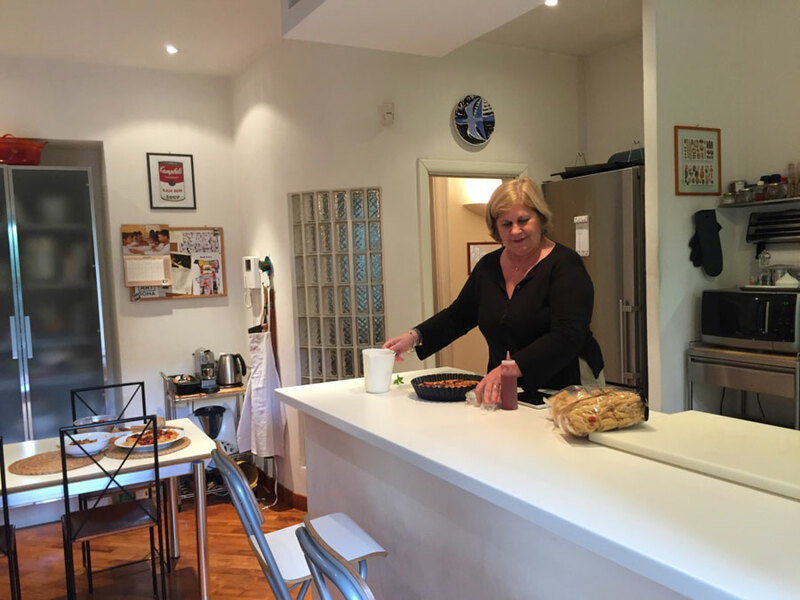 After working for Alitalia for 26 years and studying at the famous Cordon Bleu, Daniela opened a catering business and teaches cooking classes. She also works as a private chef on occasion. 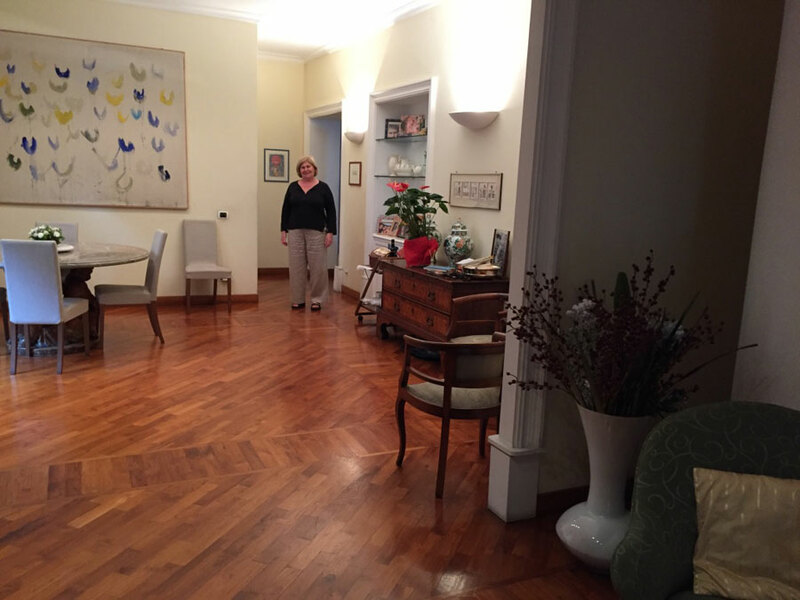 Daniela currently lives in a classic Roman apartment with her son Eduardo and her husband Giovanni on the Aventine Hill, one of the seven hills of Rome. 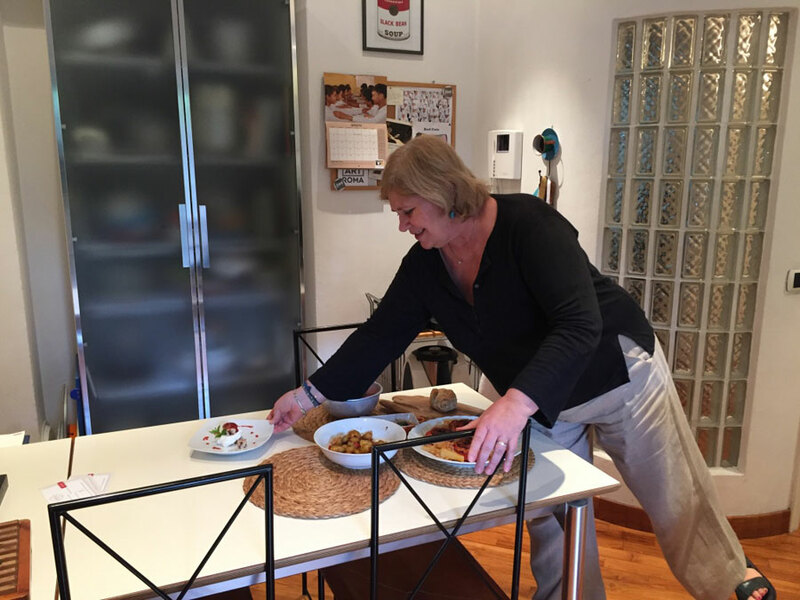 She is very passionate about discovering new cooking techniques for her dishes, cooking for other people, and making friends all over the world. 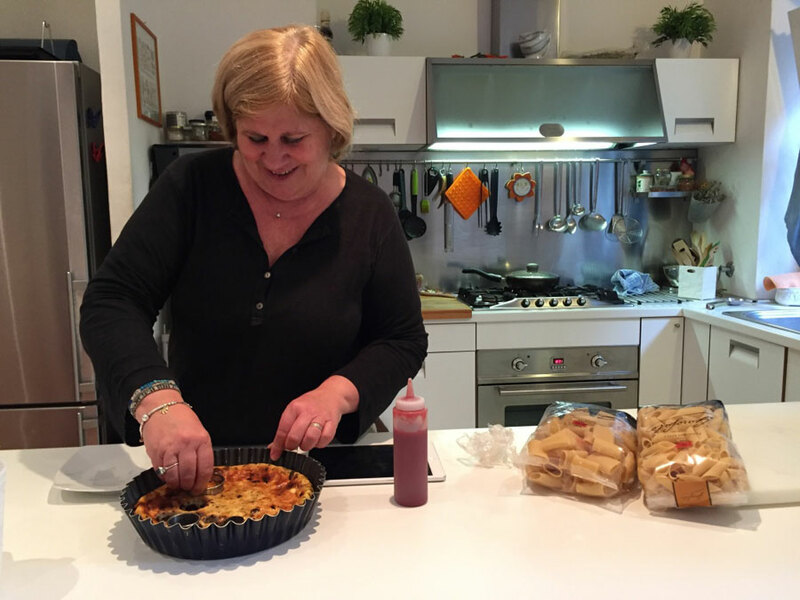 In her home, Daniela prepares authentic Roman, Napolitano, and Sicilian food. 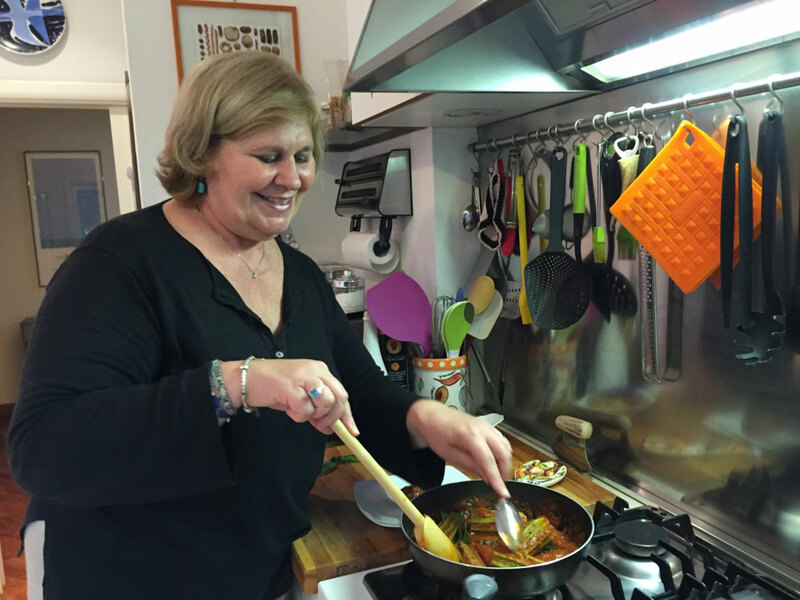 Roman cuisine is comprised of a few ingredients such as pancetta, guanciale and pecorino to make sauces such as carbonara and amatriciana. 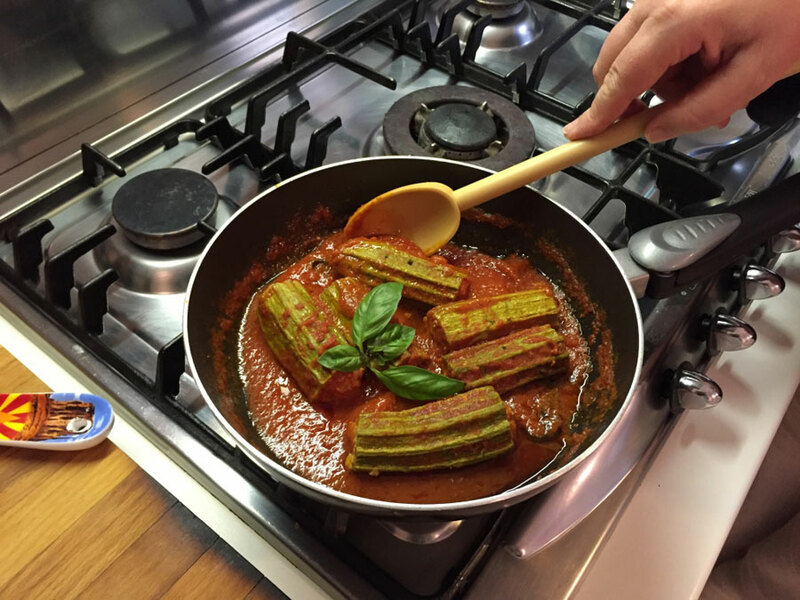 Napolitano cuisine is composed of a variety of ingredients such as eggplant, zucchini and potatoes combined with the heavy use of garlic, tomatoes and basil. Pizza, of course, is traditional Neapolitan. 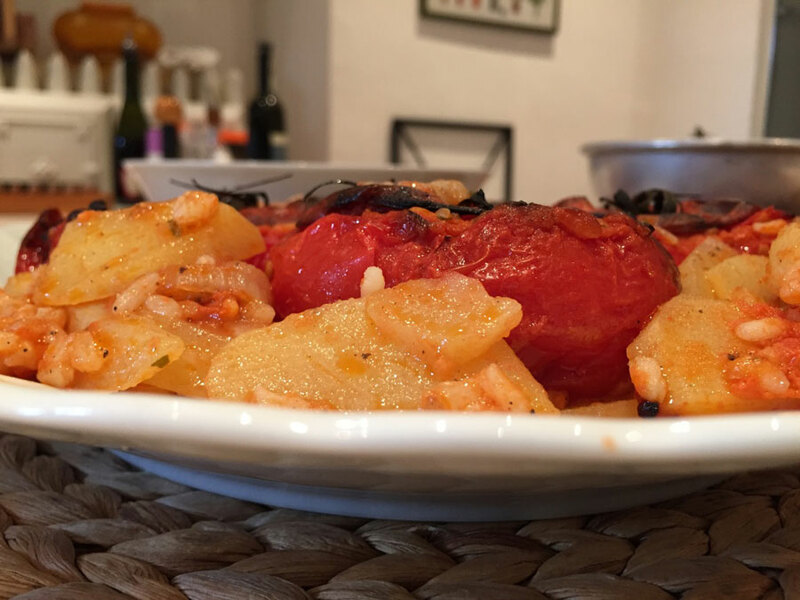 Sicilian dishes tend to be seafood heavy with fresh vegetables, dried fruits and spices. 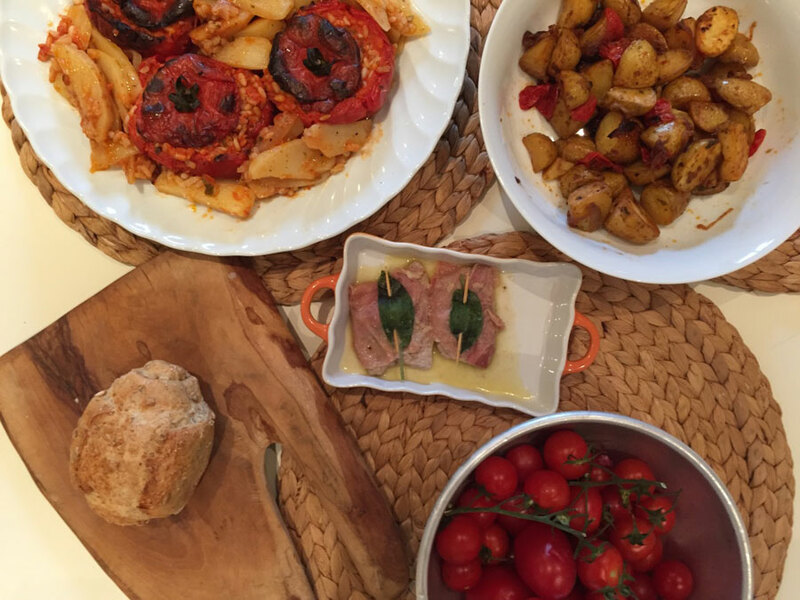 In-home meal: (4-10 guests) Sit down with Daniela to share a tasty, regional meal together. 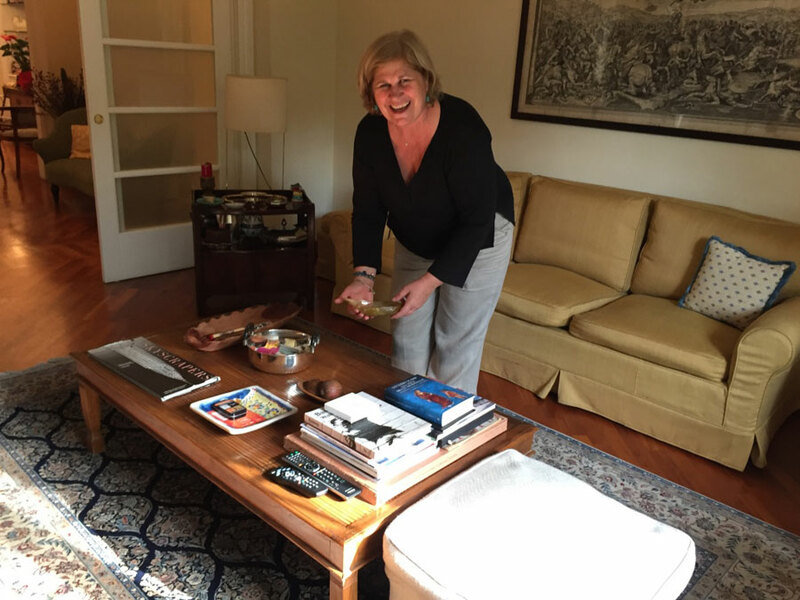 Start your meal with an aperitivo (pre-dinner drink) and listen to stories about her family, her favorite culinary traditions, and Italian cultural heritage. 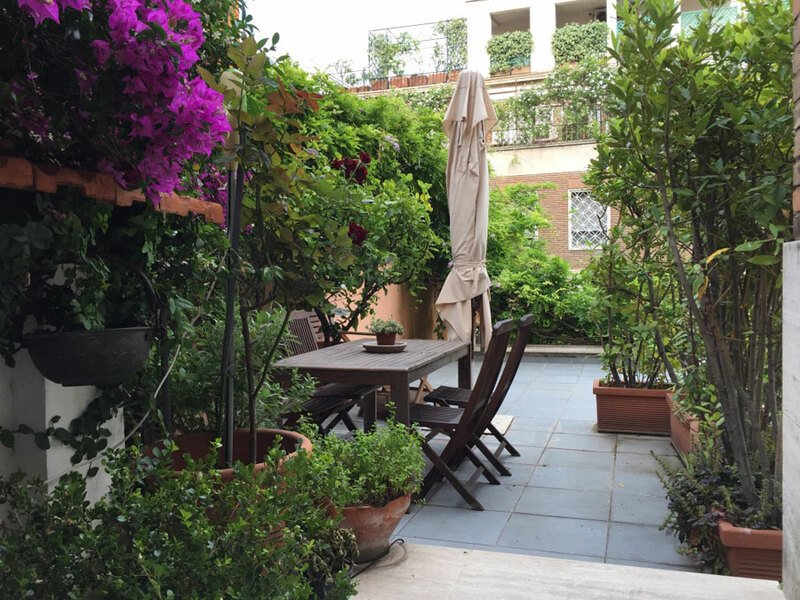 You will enjoy the delicious, traditional meal over wine in Daniela’s dining room or outside if the weather is good. 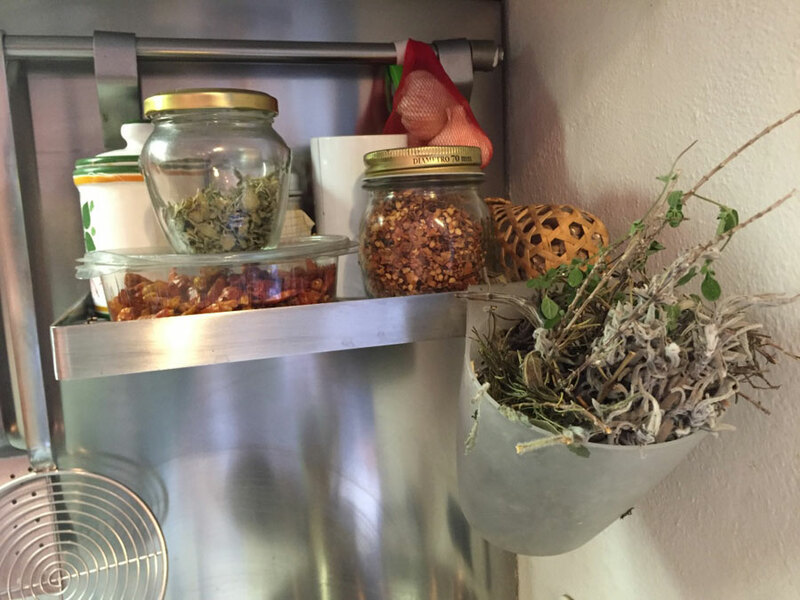 You can choose between one of three menus when you book. 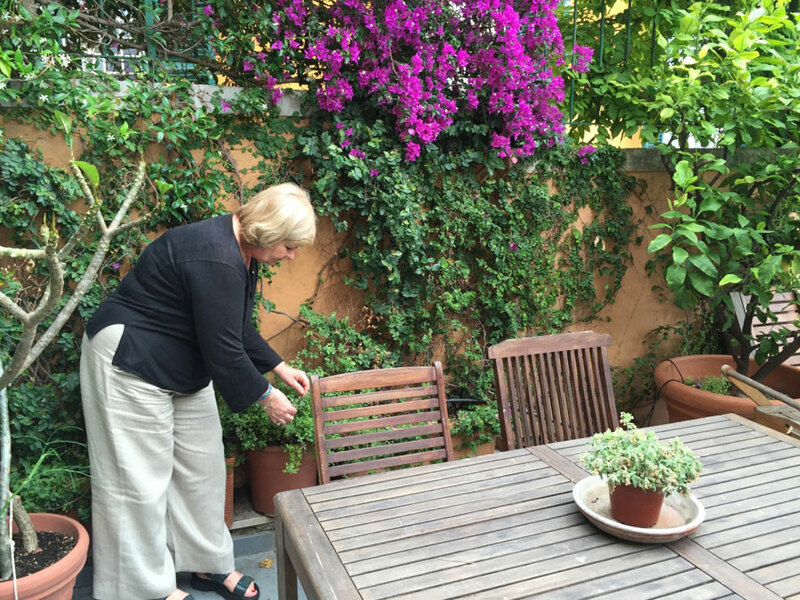 Your Roman menu might include dishes such as amatriciana or carbonara as a primi, saltimbocca or chicken cacciatore as a secondo, and a seasonal vegetable like peas with pancetta and onion as a side. 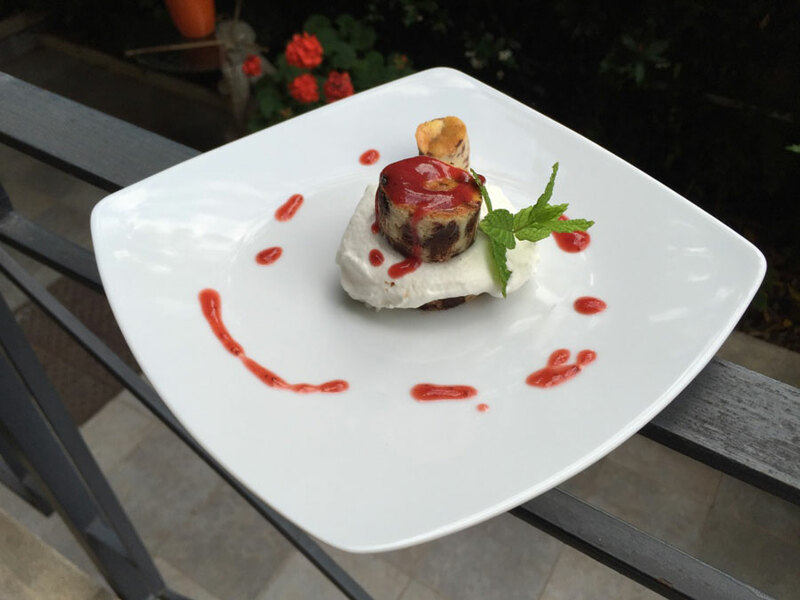 Your Napolitano menu might include paccheri ragu, spaghetti puttanesca or spaghetti sciue sciue, polpette (meatballs) or involtini Napolitano (beef rolls with provolone, nuts and herbs) and dessert. 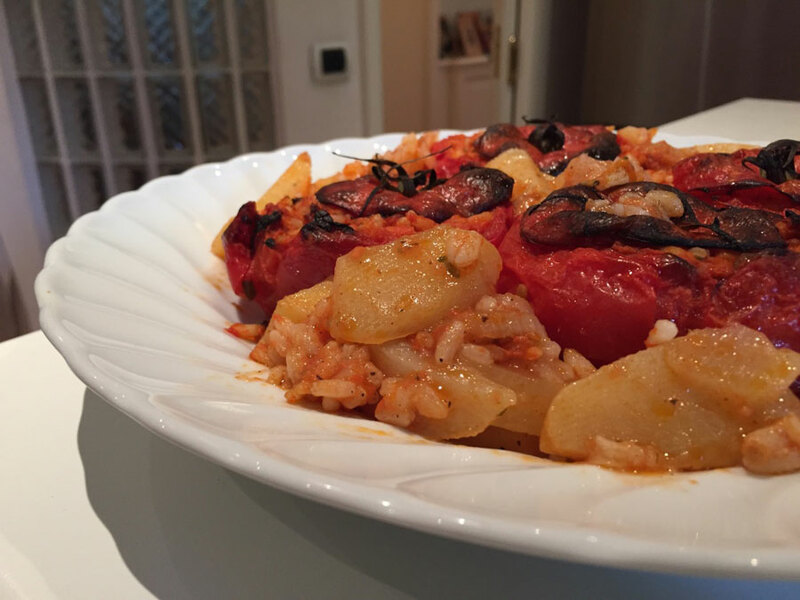 Your Sicilian menu might include dishes such as pasta la norma (rigatoni in a tomato sauce with eggplant, garlic and basil garnished with salted ricotta) or pasta with sardines in a garlic, olive oil and breadcrumbs sauce, involtini di pesce spada (sword fish rolls with eggplant) or arancini (stuffed rice balls). 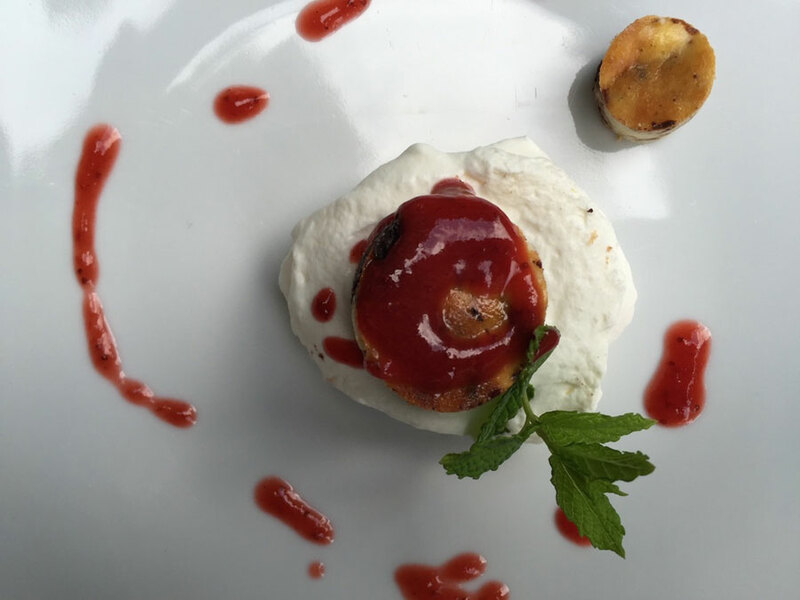 All menus conclude with a dessert such as tiramisu or panna cotta. If Daniela’s husband Giovanni is in town, he may join you for dinner. 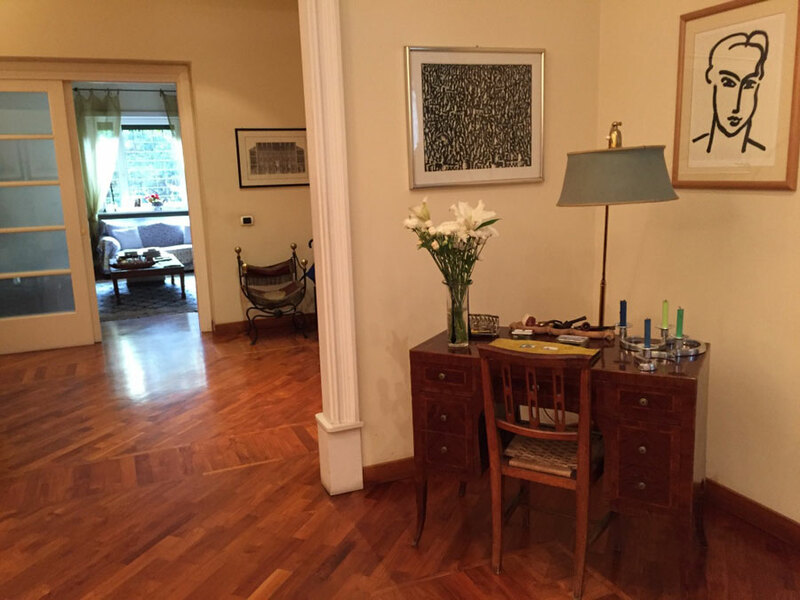 The price of the experience includes wine. 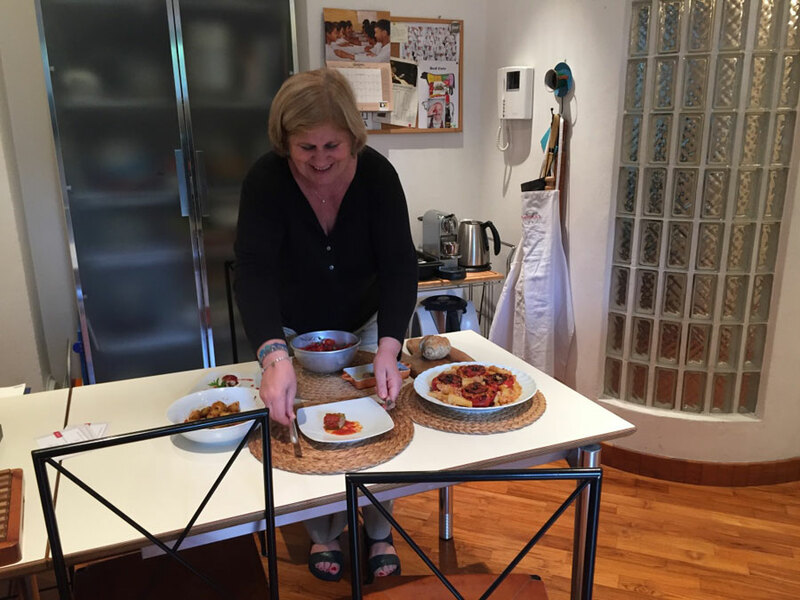 Cooking experience: (2-6 guests) Roll up your sleeves and join Daniela in the kitchen to learn how to prepare an authentic Roman, Napolitano or Sicilian meal. 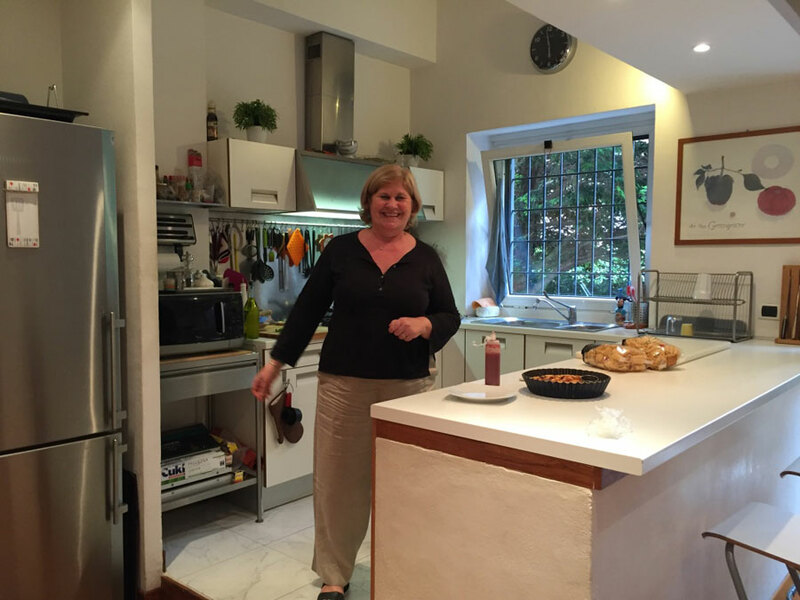 You will learn to make 3 dishes, a primi, secondo and dessert from scratch. 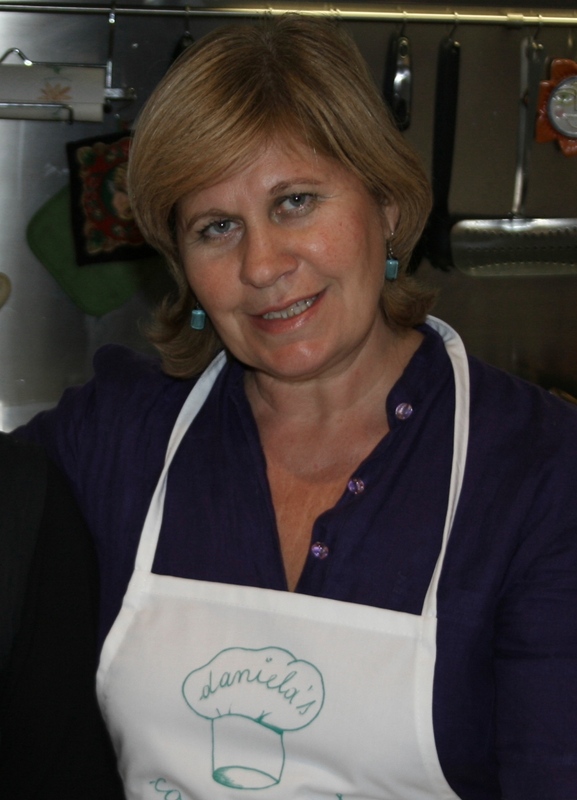 If you have dishes you'd like to prepare, such as fresh pasta from scratch, please let Daniela know in advance. In addition, please let her know if you have any special dietary requirements, or allergies. She does her best to cater for different diets, however please bear in mind that nuts and other foods are regularly prepared in the kitchen. The cooking lesson should last for about 3 hours. 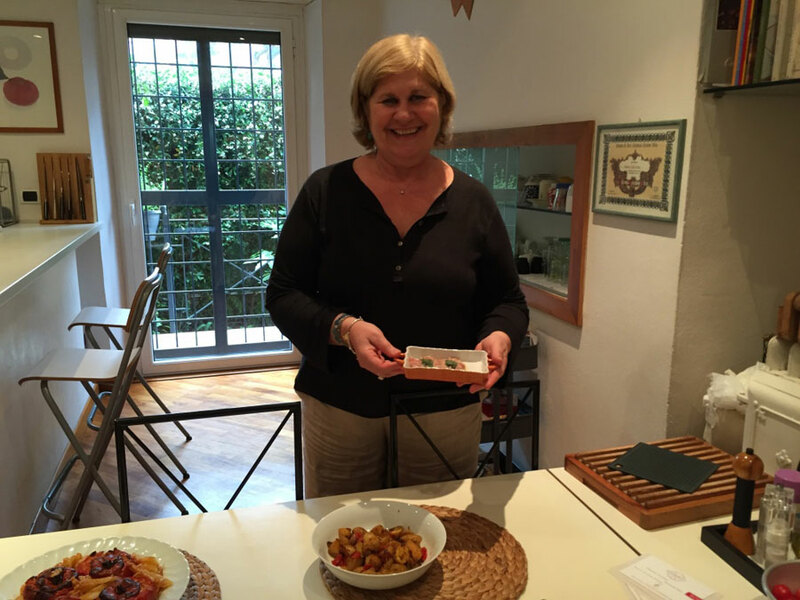 Market visit: (2-6 guests) Meet Daniela at the Testaccio market in front of the Macro Museum of Testaccio. As you sit at a local bar, you will discuss the history of the market, what foods are in season and what you like to eat. 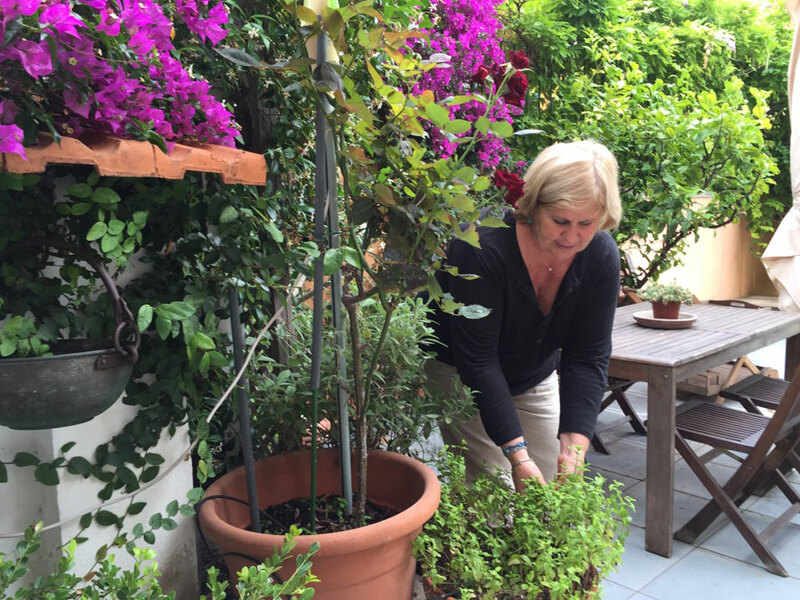 You will then pick fresh, seasonal produce and various ingredients from Daniela’s preferred vendors in the market for about an hour. 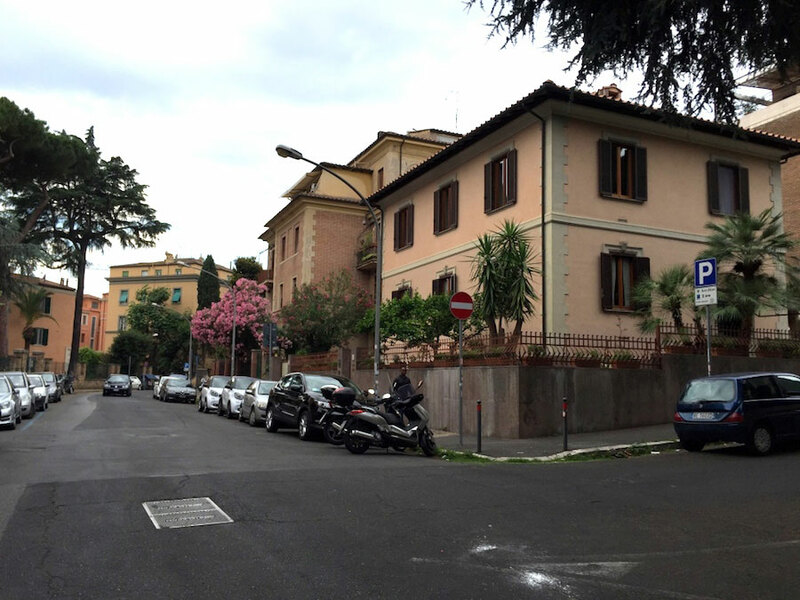 You might also get to try a piece of local fruit or pizza before driving with Daniela to her home on the Aventine Hill.